Finding the perfect gift doesn’t have to be hard. 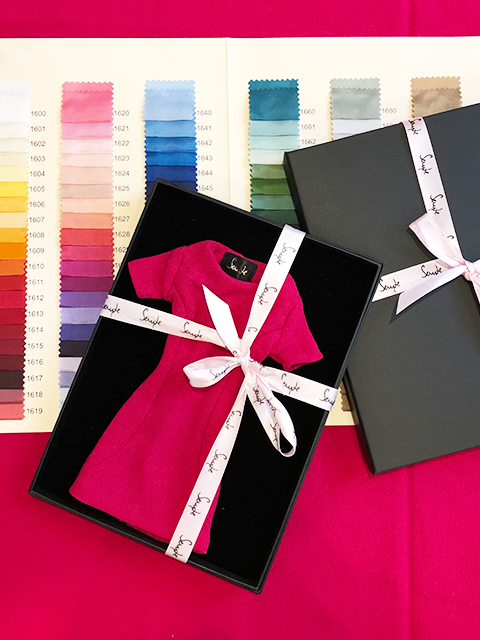 Treat a loved one to a luxury present that is guaranteed to please: a bespoke Semple dress designed and made to measure in our Covent Garden atelier. A gift that is both thoughtful and unique without the worry of the wrong colour, style or size. Let us do all the hard work for you. We’ll send you a beautifully packaged miniature dress complete with a personal message to give to a loved one. Then we will be in touch to book the initial consultation and start her Semple journey. Please note that once you have made payment you may close your browser as you will not be redirected to our website. We will send you an email within 1 hour to confirm your payment.